Uhhh... yeah... 'bout that. I know. Ummm... Okay, so it's not New Year's Day anymore. So it's the fifth of January already. Almost a week after one is supposed to have made all one's New Year's resolutions and whatnot. So sue me! Actually, please don't. I don't wanna be sued. But when you think about it, if a cat ages approximately five years for every one peep year, then one cat year must average - after calculating the equalisation ratio and other complicated mathematical formulae involved in kitty physics, of course - anywho... after calculatin' all that complicated math and grading it on the curvature of the tale, we can conclude that one cat year must be equal to about five peep years. That would mean that one cat day should be the equivalent of five peep days and since today is the fifth day after New Year's Day, I do believe that I'M RIGHT ON SCHEDULE. I think. So as you've probably guessed, I have some New Year's resolutions. About a paw full of 'em, or two. My first resolution is to try to write shorter blog posts. 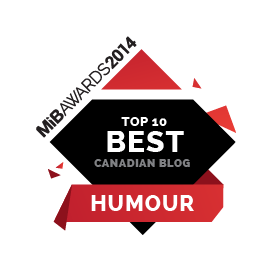 You know, so that I'm not writin' the next great American novel every time I publish a blog post although, since I'm a Canadian kitty, I'd have to be writin' the next great Canadian novel but no one ever says that. Oh sure, there are great Canadian novels out there. I'm sure there are lots of 'em. It's just that no one ever says that phrase usin' Canadian. Weird, huh? Turns out that I'm probably not gonna keep that first resolution. What can I say? I have stuff I need to write. Sometimes I need to use a lot of words in order to write it. Okay, resolution number two is a pretty easy one. I have resolved to watch more Canadian news. Especially all that political stuff. 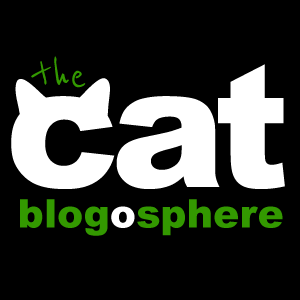 It turns out that Canadian politics, these days, provide a wealth of fodder for blog topics when you're a bloggin' kitty such as myself. That's a resolution I can keep, for sure. On the other paw, maybe I should run for office myself. Stan ran for Mayor. Earl Grey ran for Premier. 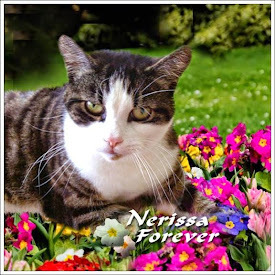 Nerissa the Cat for Prime Minister... Oohhhh.... I like how that sounds! Resolution number three is more for the peeps than for me. Actually, it's really a resolution for just the first peep. I am resolvin' that the prime peep is gonna help me visit more of my pals in the blogosphere, more often. I am so behind. I am so far behind that I feel like a cat chasin' his tail. I'm racing 'round and 'round in circles, never catchin' that elusive tail. Not even if I tie a sprig of nip on my tail can I catch it. 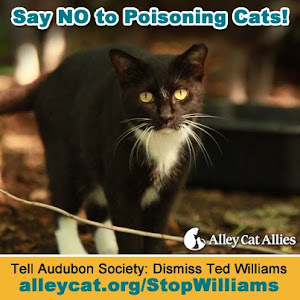 I can, however, catch my sisters' tails if I tie sprigs of nip on them. Not that I've tried or anythin'... No, I've never done anything like that in reality. That would be wrong. On the other paw... No, it would be wrong. Most definitely wrong. MOUSES! My fourth resolution is to have that ol' peep of mine grow the nip. I had to give her a failing grade on the nip-growin' front last year so she has lots of room for improvement. Lots and lots of room for improvement, if you know what I mean. 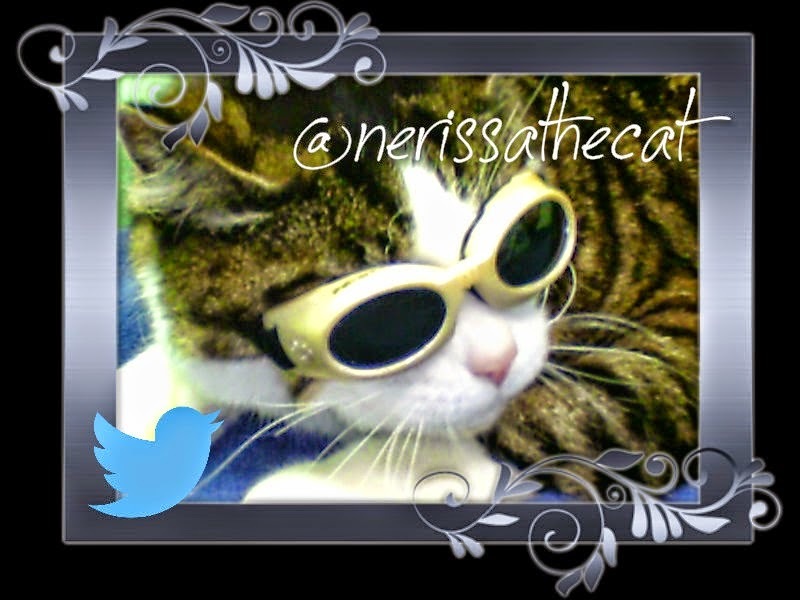 As I'm plannin' on making a major investment in nip futures in 2014, I really think the peep should be growin' some of the stuff for me. She has a packet of seed. Now she just needs to figure out what to do with it. Box enjoyment. Yup, that's resolution number five. I resolve to have the peeps keep me supplied with boxes and I intend to enjoy those boxes to the fullest. Playin', nappin', scratchin', nippin'... All worthwhile box activities. Gotta do that stuff more often. My sixth resolution it to keep Peep #1 apprised of my writing endeavours. 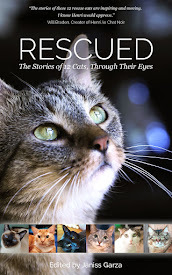 Did you know that my rescue story is gonna be published? It sure is. 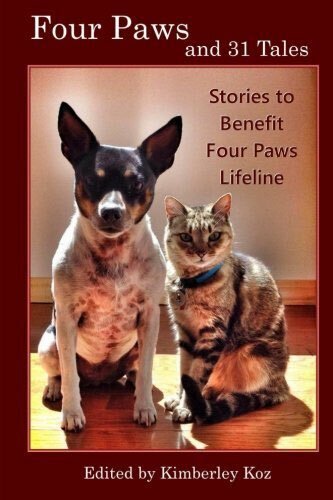 The story of my rescue is gonna be published in a real book that you can hold in your paws and everything. Oh sure, Ol' Peepers considers herself to be a writer but I have my doubts. Don't see any real books on the shelves with her name on 'em. Gotta keep remindin' the peep of this. Perhaps it will provide her with the necessary motivation to improve her writing skills. Miracles have happened, you know. This could be the next one. And last but not least, my resolution number seven is to do a better job of keepin' up with my bling. In case you hadn't heard, I love the bling! Bein' blingafied is the best but sometimes, I don't get around to postin' and sharin' the bling as often as I should. 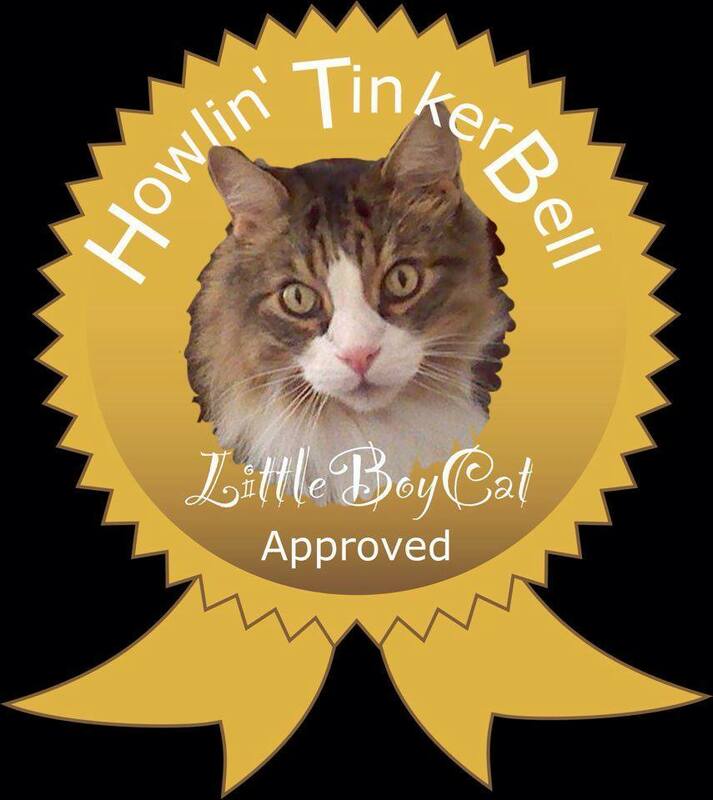 For example, I have recently been awarded three more stars for my Blog of the Year 2013 Award - givin' me a complete set - and I'm only thankin' my pals for givin' me these stars, now. 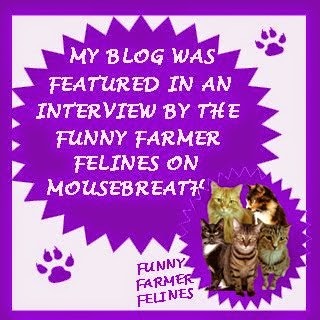 MOUSES! That's right... Speedy from Speedy the Cheeky House Bunny gave me not one but two more stars. And my pal Tex from Texas, a Cat in Austin gave me one, too. I already had three so these additional three make six and that's a full set! Yoo-hoo! YOO-HOO!!! 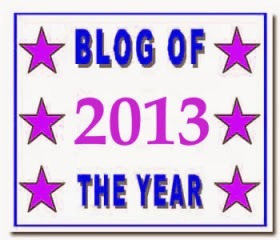 In acceptin' stars for the Blog of the Year 2013 Award, there are some rules and regulations which may be found at the page belongin' to the award's creators, The Thought Palette. I know I've given most, if not all, of these cats stars before but I also know how desperate we bling-lovin' cats are to complete our sets of stars. Now, if I've missed anyone out, just grab a star for yourself, okay? I really wanted to give one to EVERYBODY but... well... Well just don't tell the peeps at The Thought Palette, okay? 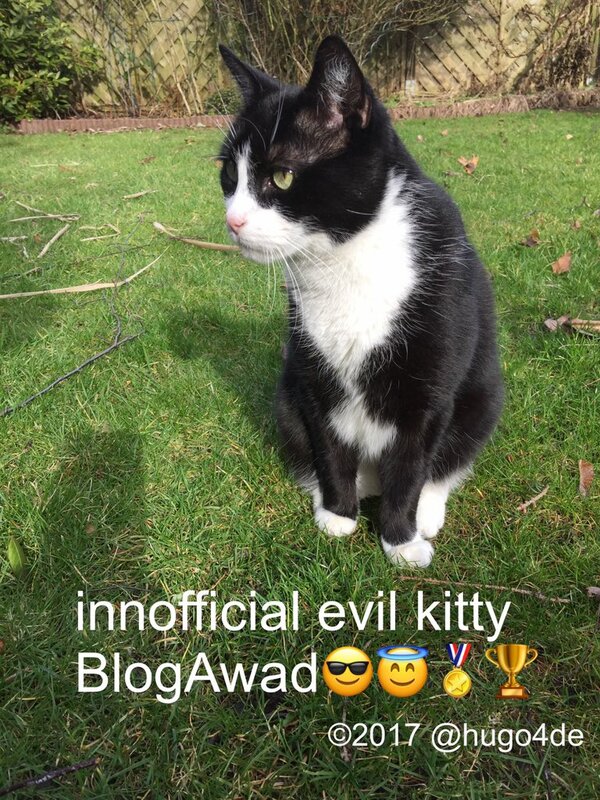 They might not understand how many wonderful and amazin' blogs out there are written by my pals and how each and every one of my pals is deservin' of havin' all six of their stars. MOUSES! Congrats on the nice award pal! So far I've kept my only resolution not to make resolutions!!! I think they are a fine bunch of revolutionary resolutions. 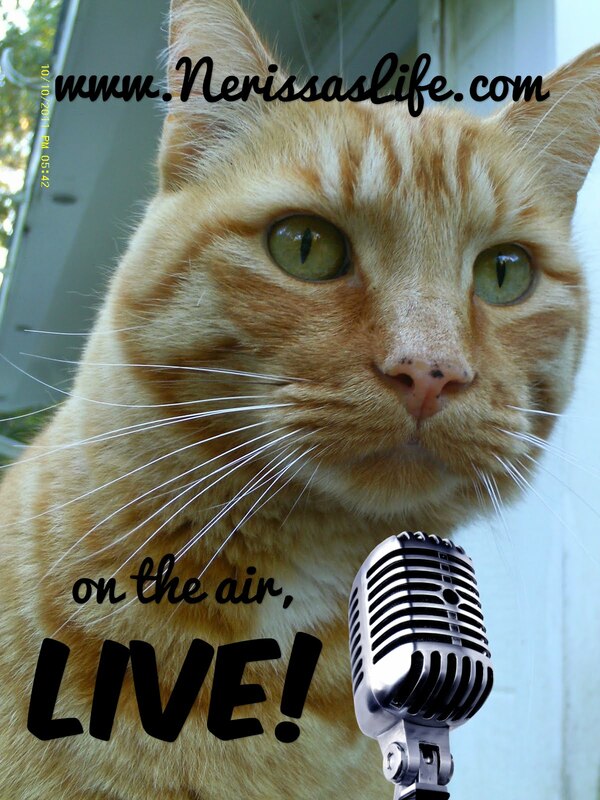 We made some but are not letting the cat resolution out of the bag so to speak. Congratulations on getting all your stars! I just LOVE the look on your face in that first pic!!! You r so adorable!! We think those are pawsome resolutions, Nissy! My hoomin made a resolution. She wants to go bowling more. :) Hee hee. 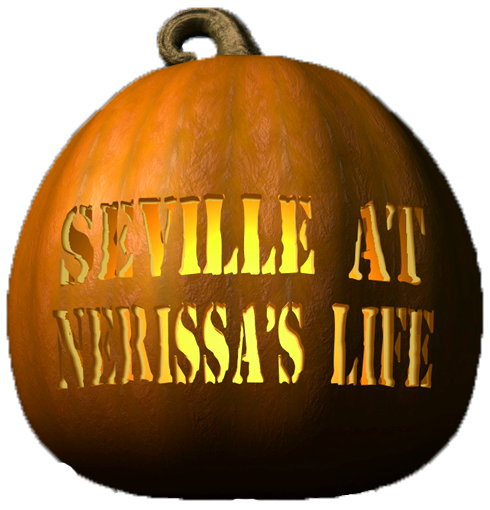 Nerissa, I do think you need to run for office! You would definitely do a better job and be far more respectable than the humans who are doing it right now. 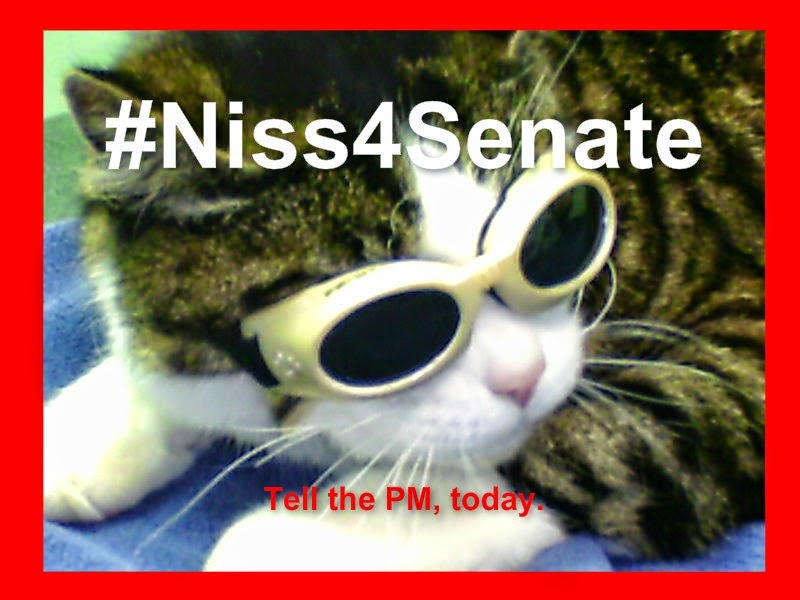 Hey, Nissy, those are some really great resolutions, especially the one about growing nip. I'd like that one too. We'd vote for you...if you made promised to turn all the people parks into nip growing farms. There was the Merry, then Buddy's Gotcha all followed by a Happy! I came by read the post and TOTALLY missed my Star!!!! Thanks fur Number,,, Um I better count them up official befur I make another Faux-Paw. Concatulations on all of your stars! Me and mum don't make resolutions any more because we know neither of us will keep them. After all isn´t that what New Year resolutions are for ?! ConCATulations on all the stars ! OMC! You gave me six stars? I'm not worthy! I'm not worthy! Go and run for office, Niss. I will vote for you. I will move to Canada and get a license so its all legal and stuff. Happy Mew Year, buddy! 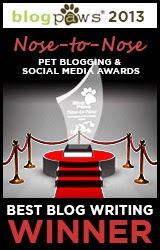 Congratulations on your award, so exciting! We think your resolutions are just perfect. We're 'SPECIALLY on board with the Nip resolution (nipolution?) as it's the most sensible one. Our Daddy cheated and bought nip plants from the nursery and the were da BOMB...just sayin'. Woohoo we has a star YEAH!! Wow, Nissy--you did a good job with those resolutions. I am feeling pumped now about making some resolutions for *MY* Human. I might even steal some of yours, you know. You wouldn't mind, wouldja? And thanks for the stars, Buddy--once my LAZY, IRRESPONSIBLE Human actually helps me post my awards, that is. Pfft. Hi Nissy! Here we are sliding into 2014 already.....where does the time go? Anyway, concats on getting all your stars my friend...I already knew you were a big STAR but this makes it official......also appreciate you passing another star on to yours truly - somehow I managed to get all of mine last year....but I'll keep the "Extra" from you and pass it on to someone else who needs one!! You're the BEST Nissy...THE BEST. As for your resolutions - you certainly came up with some goodies. Good luck KEEPING them....that's why I didn't make any - I can't seem to KEEP them......sigh......it's not easy being me sometimes! I wish we could be friends but you write so much!!! I can not read so much b/c of my eye problem!!! Sorry!! Mes again! Mes just blogged about the award yous gived mes!!! 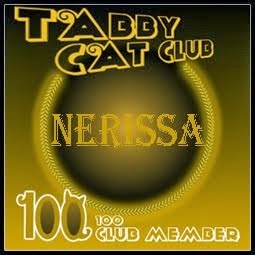 I gived you an award Nissy! I am a french cat. It means that my english is not so good. I am proud to say that I understand english quite well, but I am very bad when it comes to writing. I really enjoyed reading your resolutions. The first one .... forget about it. Your posts are perfect .... the way they are. And, new year resolutions are for humans. We are cats so we are perfect !